There is a lot going on in the track and field world right now, as everyone is preparing for the world championships in Moscow later this summer. So until then, I will be posting the various venues that will be hosting meets this summer, as well as mixing in some random tracks. The Mediterranean Games is one big event that is going on right now. 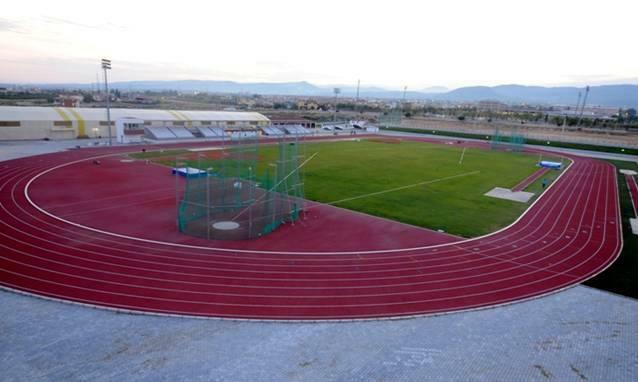 And athletics actually starts today, so the venue hosting our sport is today’s track. 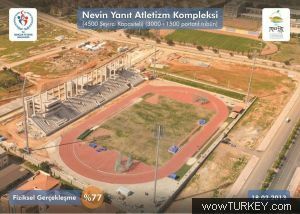 Mersin is the Games host city this year, and track and field will be contested at Nevin Yanıt Atletizm Kompleksi. This facility was built just a couple of years ago, opening in 2010, and is not on Google or Bing maps yet. It’s small, but looks like a nice facility.